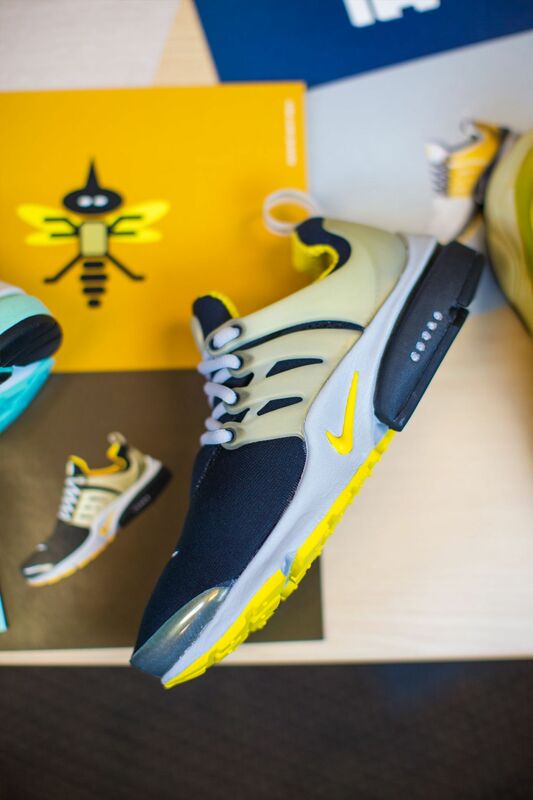 The Air Presto's journey began long before its introduction in 2000. Coming from the innovative minds of Tobie Hatfield and Kevin Hoffer, and designed by Bob Mervar, the concept first came to life in 1996. When trying on a traditional pair of running shoes at the time, Hatfield began to notice the collar would slightly collapse to accommodate the foot. 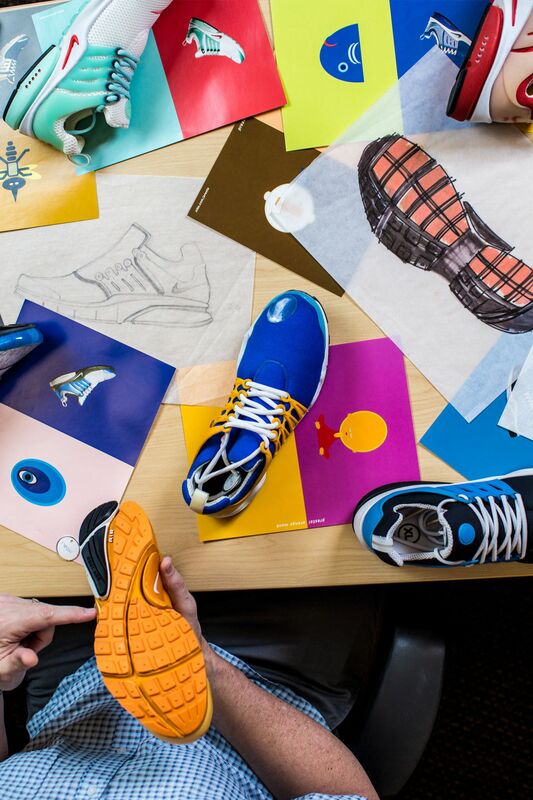 While the shoe would provide everything needed for a runner, Hatfield wondered how to better the design and function, while also incorporating consumer feedback calling for more comfortable, slipper-like shoes. Hatfield's first concepts began with this feedback in mind and the question of how he could eliminate the collapsing of the collar while elevating comfort. "So I opened up my sketchbook and began to think, 'what if I just take this part of the collar away?' Literally create a notch. I called it the V-Notch. I had no idea what it was going to do to the shoe", Hatfield explained. With a starting sketch in hand, Hatfield took it straight to his very own pattern maker at the time. "I showed it to my own pattern engineer and within a couple of days it was on my desk with this 'V-Notch' there. The V-Notch acted as a sort of hinge on the shoe, relaxing the design and allowing it to stretch for a perfect fit, even when a bigger size foot was inserted. Essentially, it allowed the shoe to grow with the foot. This is where the Air Presto's variable "T-shirt sizing" system was born. 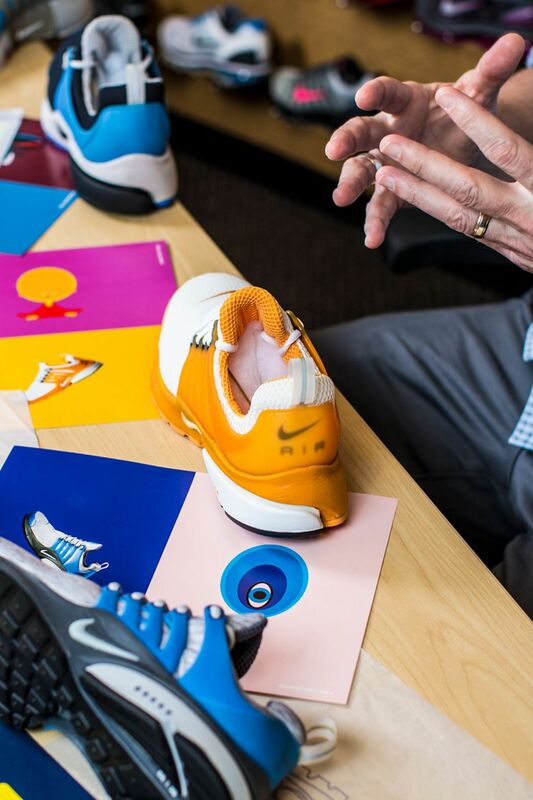 While not officially introduced until the release of the Air Presto, the 'V-Notch' concept was gradually eased into the marketplace in the years leading up to the new millennium, with styles such as the Air Gauntlet and Air Zoom Drive using the technology. Now enter designer Bob Mervar, who worked his way onto the project after being captivated by the design the moment he laid eyes on it. "I saw this thing Tobie was working on and I had already seen samples. I came from a product design background and that was a very reductive type of approach to design." 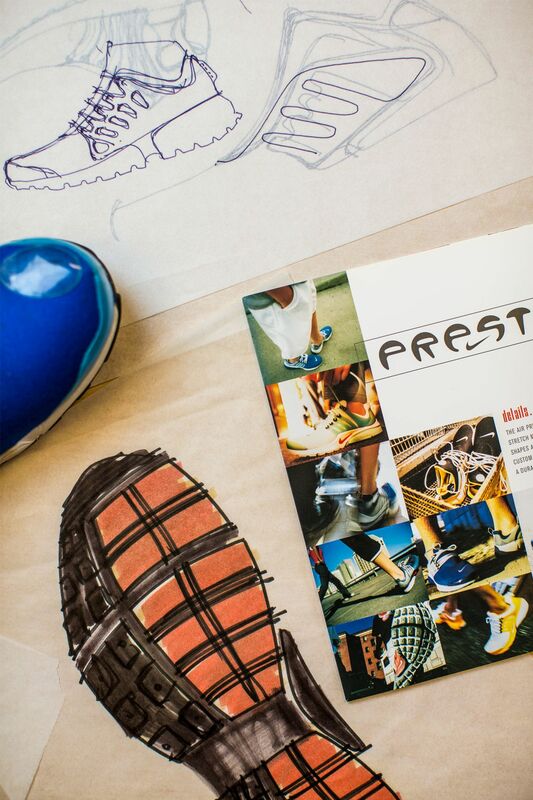 Once Mervar entered into the equation, he drove the Air Presto finalisation home to create a complete, holistic design. "I started sketching it and really what the design gesture was is sort of a scallop this way (motions forward) and a scallop this way (motions in opposite direction). And then I thought I could connect all that to make it one message. It looked cool in parts but then I thought I could integrate it”, he explained. The two key gestures, coupled with specific colour blocking chosen by Mervar, helped the design appear completely integrated with fewer parts. 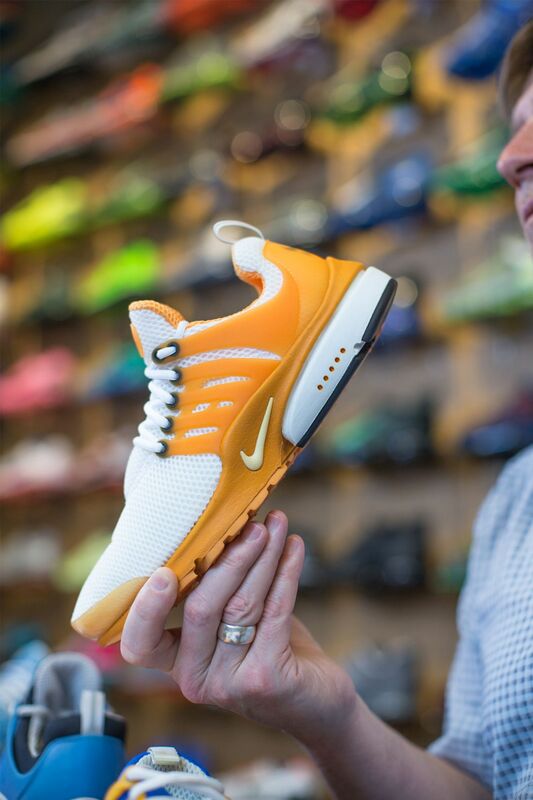 It also added a look of speed and motion still inherent to the Presto's design language today.